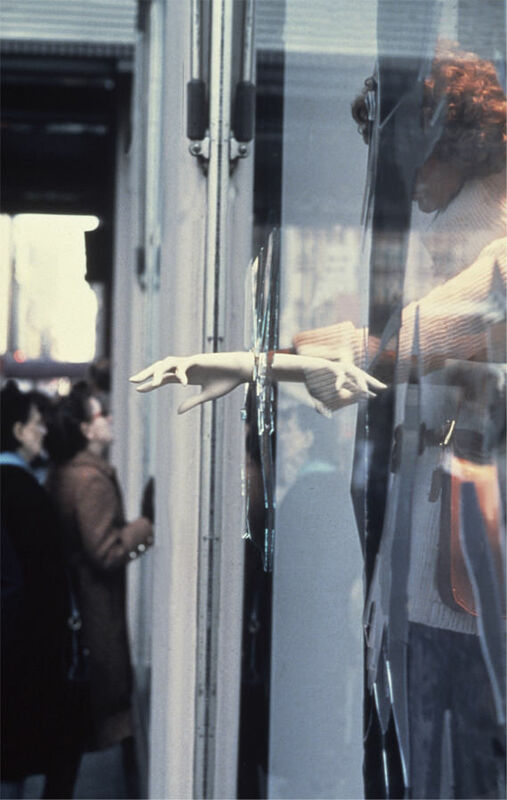 Hershman Leeson created a series of 25 window displays for the Bonwit Teller department store in New York, which were on view from October 28 until November 2, 1976. These multimedia installations incorporated photography, film, video, computers, tape recorders, mirrors, steam, holography, and live actors, as well as Bonwit Teller mannequins and clothing. 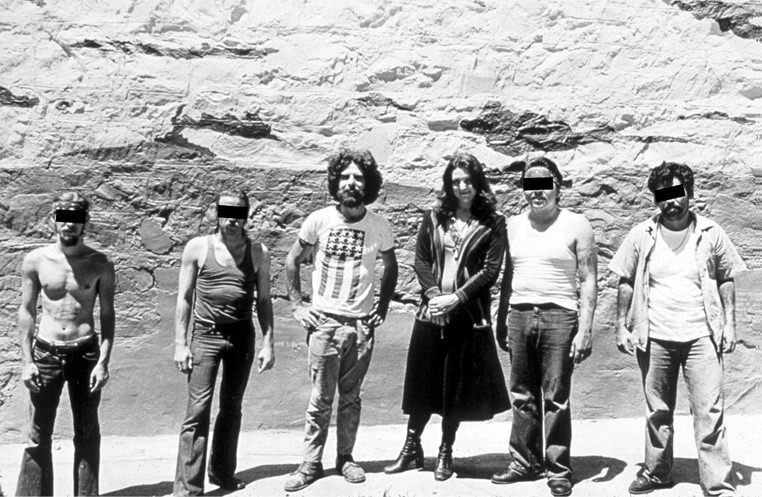 Floating Museum, Lynn Hershman Leeson with master muralist Hilaire Dufresne in front of the San Quentin mural. Established by Hershman Leeson in 1974, The Floating Museum commissioned and exhibited temporary, site-specific art in public spaces, first in the San Francisco Bay Area and then more widely in the United States, Italy, and France. Over three hundred artists were supported by The Floating Museum during its four-year existence. 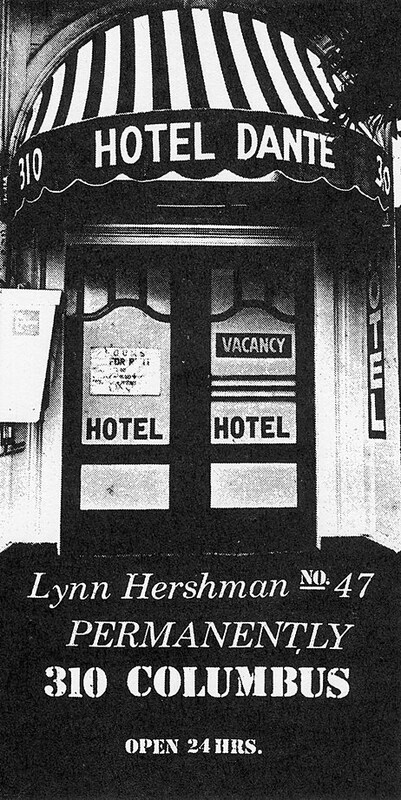 In this site-specific installation, which existed from November 30, 1973, to August 31, 1974, Hershman Leeson staged the occupation of a room in a rundown hotel in the North Beach area of San Francisco. Traces of use, such as cosmetics and clothing, were on view, along with two life-size dolls installed in the bed. 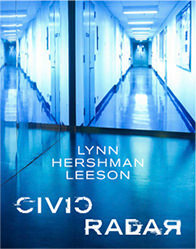 Sounds of breathing, emitted from a hidden tape player, created the impression that the pair were simply asleep. A radio played local news, and pink and yellow light bulbs contributed to the ambiance. Potential visitors learned about the installation through newspaper ads placed by the artist.